Being a parent is not easy– no one ever said it was. Having a kid grip to your every limb at every second of the day gets hard especially with no breaks in between. And when I do get a break I really want to indulge in something deliciously sweet with not too many calories. Even doing something like that is hard because your kids left-over snacks become yours and then there go your calories and hard efforts of becoming a semi-better eater. I’ve been looking for healthier options, because let’s face it anything we eat will have calories, but finding something with not as many calories is another challenge in itself. 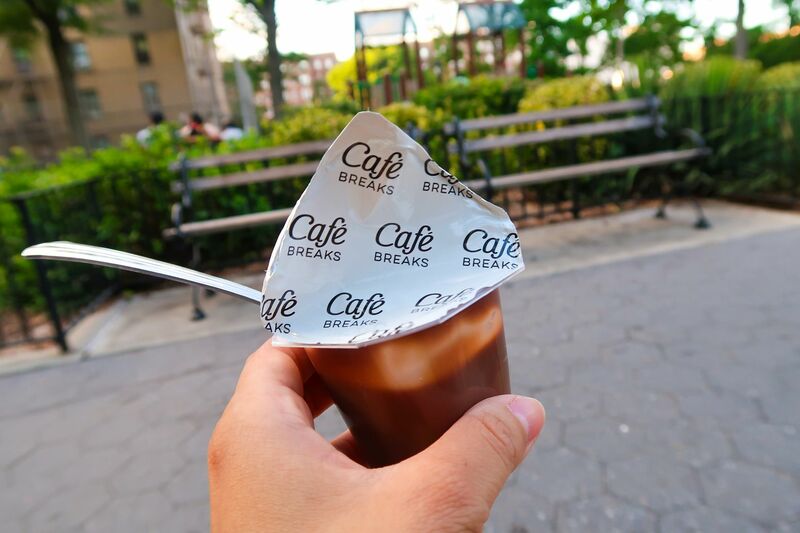 I came across a new brand of pudding, COFFEE pudding– Cafe Breaks. They offer some delicious coffee flavors like mocha, caramel, vanilla and chai with only 100 calories or less per serving, milk is their first ingredient and there are no preservatives. They’re packaged small to keep them in our bags and are convenient for us since we don’t have to keep them refrigerated to still taste all the deliciousness. I was able to get a deal using Ibotta which is like playing a game while you shop– buy products on Ibotta, take a picture of your receipt and get cash back! Our little ones get breaks with delicious snacks, well now we can too with Cafe Breaks pudding– filling me up and allowing me to take a five-minute break in the bathroom or a more humane place– the park!